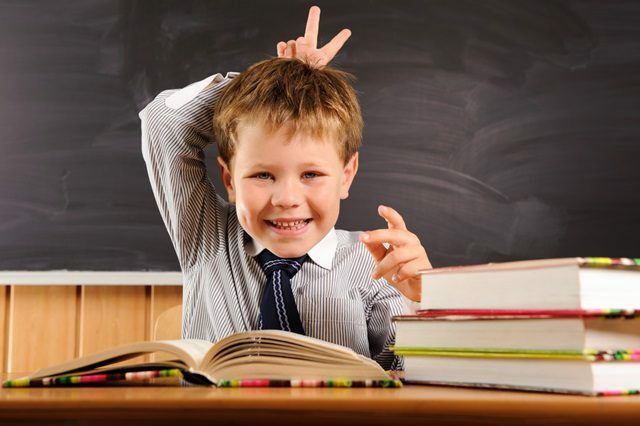 About 10 per cent Australian children are gifted or significantly advanced in a specific area. Some gifted kids have exceptional reasoning and problem-solving abilities, while others have creative or physical talents. Educational and Developmental Psychologist Karen Spitzer explains the first steps in working out if your child is gifted. Have you noticed that your four year old is an early reader, has an excellent memory, is highly articulate and relates particularly well to adults? Were you a little surprised when your child’s teacher reported that despite displaying outstanding curiosity, initiative, academic skill and insight, your child gets bored easily at school, can seem absorbed in a private world or even be a bit naughty or irrepressible in class? If this sounds familiar – your child may be a Gifted and Talented student. Educational Psychologist, Karen Spitzer, works with many children who are Gifted and Talented. She says that while these traits can apply to all kids at some time, Gifted and Talented children have unique needs. “Gifted kids often learn differently from their peers,” she said. Karen says that offering activities that stimulate and challenge gifted children from as young as four years of age is important to keep them interested and engaged in learning. is an advanced reader either in English or in their home language. Your child does not have to have all of these abilities at once to be identified as being Gifted and Talented. However, if you can recognise several of these signs in your child, you might like to consider the possibility that he or she has special talents or abilities that could benefit from a slightly different approach to the educational journey. Karen Spitzer advises parents to talk to their child’s pre-school or school if they believe that their child might be gifted. ‘I always recommend that parents talk to their child’s teacher first,” she said. Karen recommends that parents provide the school with concrete examples of their child’s work, behaviours and feelings. “While your own impressions are important, to really be able to take action, teachers need to have concrete evidence of your child’s specific skills,” she said. Karen said that an IQ assessment, done by a school counsellor or by an external psychologist, can benefit gifted children by giving their teachers and parents a clear understanding of where the students’ strengths and areas requiring development lie. In addition, formal test results often give principals and teachers the diagnostic information needed to implement classroom programs and resources that suit the needs of Gifted and Talented kids. “IQ assessments are also useful if a child has complex learning needs that could affect their classroom experience, “Karen said. Want to find out if your child is gifted? If you’d like to find out more about your child’s IQ, learning ability and academic potential, Kids First can help. Our educational and developmental psychologists have years of experience in education settings and are qualified to conduct formal testing. We can also provide detailed reports that will help your child’s school or pre-school to understand their learning needs.